How does the President take his tea? 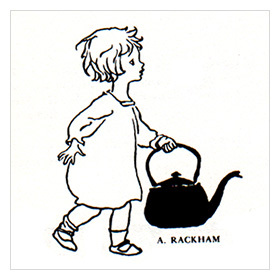 Nursery rhymes have been with us ever since there were babies to lull and older children to entertain. As folk literature, they often mask religious, political and sexual meanings. For instance, it has been theorized that the bags of wool given in Bah, Bah, Black Sheep represent monies paid to kings and churches. There are also those who say Jack and Jill were going up the hill for more than just water. Most verses with which we are familiar come from Britain. Americans call them "Mother Goose rhymes" while the British are more apt to call them simply "melodies," "songs" or "jingles." This, and the fact that a real-life Mrs. Goose lived in Boston as early as 1692, has convinced some that the beloved character is actually American. But irrefutable proof of Mother Goose as a teller of children’s tales can be traced back at least to the year 1650, where she is mentioned by that name in a French volume called La Muse Historique. Its author was probably making a reference to "Goose Footed Bertha," the legendary French storyteller who spun yarns, literally, as she worked incessantly at a spinning wheel. Her foot had been flattened by years at the treadle. The origins of a Goose Footed Bertha go as far back as 783. Bertha, the mother of King Charlemagne and a patroness of children, was known as Queen Goose Foot because of a malformation. So certainly the character of Mother Goose is an Old World invention. She migrated to America on European ships and adapted herself to the religious, political and sexual climate of a new land. Go to meeting on Sunday. On April 5, 1665, Elizabeth Foster was born in the coastal settlement of Charleston. At age 27, she married Isaac Goose of Boston and became stepmother to ten children. She herself bore six more. One daughter wed a man named Thomas Fleet and gave Elizabeth Goose seven grandchildren. She lulled them with songs remembered from her Charleston childhood. Thomas Fleet allegedly published these lullabies in 1719 under the title: Songs for the Nursery, or Mother Goose’s Melodies. No known copy of this book exists, and it is a mystery whether it was ever printed at all. 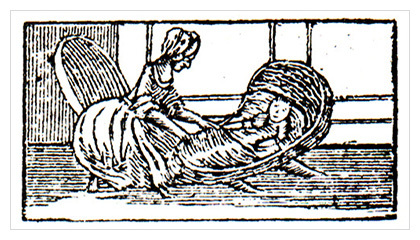 Thomas Fleet did publish a New-England Primer in 1737, but this work made no mention of any "Mother Goose" rhymes. Elizabeth Goose died in late 1756 or early 1757, and was reputedly put to rest in Boston’s Old Granary Burying Ground. Many still believe she was the true "Mother Goose," and a tombstone there attracts visitors from all over the world. The name on the stone is Mary, and it is probably for Isaac Goose’s previous wife, but this does not dissuade the faithful. "Macaroni" does not refer to pasta, but to something frivolous worn by a fop, or a dandy. In fact, the term "Yankee Doodle Dandy" was originally derisive. The popular theory is that Dr. Richard Shuckburgh, an English surgeon and wit, coined it in 1775 to deride the fantastically uniformed Colonial troops. "Doodle" is said to have meant a dim-witted but happy fellow, and "Yankee" was a word that referred to New-Englanders. It is of unclear origin, but a British officer in General Burgoyne’s Revolutionary War army wrote: "It is derived from a Cherokee word, ‘eankke,’ which signifies coward and slave. This epithet, ‘Yankee,’ was bestowed upon the residents of New England by Virginians for not assisting them with the war with the Cherokees." As thick as hasty puddin’. 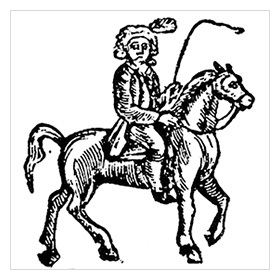 In 1786, ten years after the Revolutionary War, a Massachusetts bookseller named Isaiah Thomas reprinted a book of nursery rhymes originally sold in England. 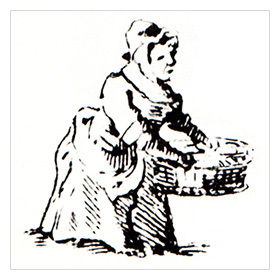 London publisher John Newbery had released Mother Goose’s Melody: or Sonnets for the Cradle sometime between 1760 and 1766. That Thomas chose to reprint the collection is notable—his wife was a granddaughter of the Fleets, and thus the great granddaughter of Elizabeth Goose. Are holding up their frocks. And couldn’t get up in the morning. Some fly over the cuckoo’s nest. In the second half of the nineteenth century, the publishing houses of Boston, New York and Philadelphia responded to a sudden national nostalgia for Mother Goose rhymes with cheaply produced volumes of traditional verse. Books were printed on linen for the first time. These "paper-backs" sold well, and were perfect for children, who could read them over and over again without the fear of ruining an expensive literary investment. This was a case of reverse influence, as both English lyricist Frank Green and English mystery writer Agatha Christie were inspired by Winter’s American "Injun" ditty. During World War II, this verse was framed and hung on the wall of the Anglo-American Supply Headquarters in London, England. The allied forces, in effect, saved the kingdom by heeding the warning inherent to the rhyme. Production lines ran non-stop to make sure the shoe was never without a nail, the horse never without a shoe, the rider never without a horse, and the battle never without a rider. Translated to ammunition, tanks, and troops, this made for a war-winning effort. Mother Goose may have come from Europe on the Mayflower, but in this instance she was carried back again on a "Liberty" supply ship. While nurses sing and babies cry.